Back when I was a kid there was a television show called “Mr. Ed”. It ran from 1958 (I was eight years old) -1966. The star of the show was a horse that could talk, and his name was Mr. Ed. Being a horse crazy kid, it was my favorite t.v. show, and I never missed an episode. I thought that it would be just the coolest thing in the whole world to have a horse that could talk. But alas, it was only a t.v. show and in the real world, horses can’t talk. However, you’ve probably heard it said that in order to have wonderful interactions with our horses we must “listen” to what the horse is “saying”. We all know that his is simply a figure of speech, but when it is worded in this manner, there is an implication that we are using our ears and the horse is talking. It can tend to throw us a little off track from what is really going on, which is that horses mostly communicate using body language. The only verbal language a horse uses is a whinny, a nicker, etc., and this is only a tiny fraction of their total communication. Horses can learn the meaning of certain words and phrases that we use, but they cannot communicate to us in words. Horses communicate in a way similar to sign language, but because a horse does not have hands, she uses her body instead. 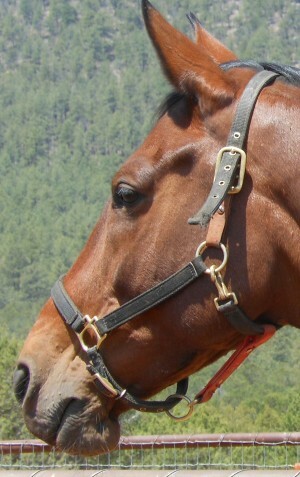 Most of the horse’s body language is very subtle and quick, including quick changes in eye expression. Only a very small percentage of her language is obvious, which she only resorts to when her subtle communication is ignored. This obvious communication can be compared to shouting on the part of a human. Unfortunately, most humans are only aware of the obvious communication and completely miss most, if not all of the subtle communication that occurs. The horse must resort to shouting in order for the human to get it. Horses are extremely subtle. Humans are not. It’s a big problem. When most humans interact with the horse, it is predominantly a one sided conversation. By not being skilled in reading what the horse is communicating to the human, the horse is not allowed to join in the conversation. In order to have a two sided conversation, the human must do the same thing as in any situation where the person he or she is wanting to communicate with is mute. The human must learn to understand that person’s form of communication, known as sign language. 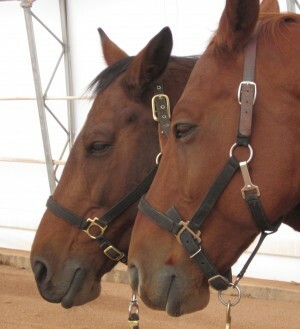 When it comes to horses, the human must learn to understand the horse’s form of communication, which is body language. If we desire to have the horse understand and respond properly to what we are communicating, whether it be verbal or otherwise, then it is only fair that we learn to understand and respond properly to what the horse is communicating. The horse is communicating almost constantly, but most people are unaware of this. Horses are chatter bugs, but most humans don’t keep up with the horse’s conversation. What is it that horses are communicating? Mostly they are communicating how they feel. What are the ways they can be feeling? They can be feeling good or they can be feeling bad, to one degree or another. They also communicate what they are about to do. Most of the time the horse is asking this question in a very subtle manner. Most of the time, the human, who is not accustomed to subtle communication, doesn’t even realize that the horse even did anything, so the question goes unanswered. The horse then assumes that it is not what the human wanted. This causes confusion for the horse. This is a problem. A very big problem. 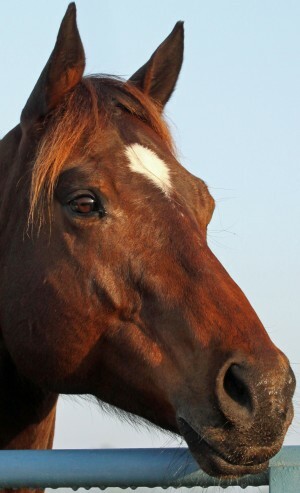 You don’t have to learn telepathy in order to know what the horse is thinking and feeling. You need to learn to read her body and her eyes. At first this may seem to be difficult and complicated, something too distant to grasp, but it’s really not, and once you do start seeing your horse’s communication, you wonder why you never noticed it before! Once you are able to engage in a two way conversation with your horse, you must be able to keep up with the conversation. Horses are very quick. They are prey animals, and must be quick in order to survive. Most humans, on the other hand, are waaaaaay too slow to respond, and are not able to keep up with the conversation. The human must respond instantly, in every millisecond, to either what the horse is asking the human, what she is telling the human she is about to do, or explaining to the human how she is feeling. Being skilled at reading the horse’s subtle communication, and being able to respond instantly is an absolute necessity for a truly deep connection and harmonious interactions with the horse. In addition, these skills dramatically reduce the occurrence of human injuries. I like to compare learning how to properly interact with horses to learning how to read and write. The first thing one must learn is the alphabet, beginning with A and progressing one letter at a time until Z. However, unfortunately, when most people begin interacting with horses, they start at around M. This is the reason for so many unhappy horses, unsound horses, training issues, resistances, frustrated humans, injuries to humans and so on. On The BETR Journey, we begin with A, and progress one step at a time until we reach Z. I call this The BETR a, b, c’s. However, Z is not our destination. Every single time we interact with our horses we have reached our destination. William Shakespeare is quoted as saying, “The eyes are the window to your soul”. I believe that a horse’s eyes reflect two situations. One is what that horse is feeling in that moment, and the other is what that horse is feeling deep within her soul. Here are some photos of horse’s eyes. I will tell you what I see. Someone else might see something different. In the first photo above it shows Sweetie focusing on something “out there”. The tightness in Sweetie’s lips shows some concern for what she is focused on, but her eye is peaceful both in the moment and in her soul. In the second photo is Sammy, who has just joined The BETR Journey with his human, Inger. Sammy is also focusing on something “out there”. He shows tightness in his lips, as well as up the side of his face signifying tension in his jaw. His eye is showing a slight amount of concern in the moment but also shows that he is somewhat troubled in his soul. On his BETR Journey Sammy will release his past negative experiences and replace them with peace and relaxation. In this third photo, Sweetie and Justy show the facial and eye expression of their BETR frame of mind. Relaxed, calm and peaceful. In my next article in this series, I am going to discuss the negative negative effects that it has on both the mind and body of unnecessary tension. Sivia Gold has spent a long lifetime with horses, riding, training, competing in a variety of sports, and healing. In October of 2010 she discovered and developed an extremely simple and easy, but very powerful technique that assists the horse in releasing both mental/emotional and physical tension and replacing it with relaxation. It soon earned the name The BIG Eraser. At about the same time, she began developing simple techniques for replacing both mental/emotional and physical negative habits and patterns with positive ones. These techniques became known as The Triple R (Release, Reprogram and Redevelop). All of this evolved into The BETR Journey, a complete program of healing and educating horses and their humans . The BETR Journey is a clear and simple step-by-step approach that utilizes The BIG Eraser (BE),The Triple R (TR), and a kind, intelligent approach in order to systematically develop a deep and trusting relationship with the horse and wonderful interactions on the ground and in the saddle.